Dr. Walker shares her perspective and experience on KING 5 News about “What it means to be “Child-Free” in our family-centric society. Dr. Walker shares on AM Northwest why she uses the term “childfree”: “I chose to use the term childfree, which for me implies a life in which we’re free to put our energies into endeavors other than raising children. 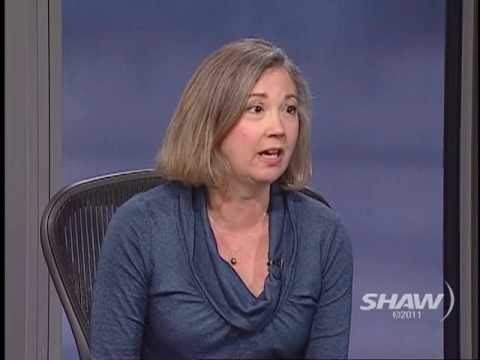 Author & Psychologist Ellen Walker is interviewed on Shaw TV’s Studio 4 with Fanny Kiefer and talks about her latest book Complete Without Kids, which is a guide to childfree living. August 18, 2010 | KRCL 90.9 FM | Radio interview from Salt Lake City, Utah. Listen to… Rethinking Parenting. January 2011 | Newlyweds Guide | Interview by Francesca Di Meglio, About.com Guide | Childless Marriage. April 21, 2011 | Blog: Mamapedia Voices | By Ellen L. Walker, Ph. D | The Rift Between Parents and Childfree Adults—Why Can’t We Just Get Along? April 2, 2011 | Blog: GalTime | By Ellen Walker | To Be or Not to Be a Mom? March 23, 2011 | Dolce • Dolce Interview | Friction Between Childfree Women and Parents. March 4th, 2011 | www.chickagoan.com | by Lydia Kanthak | Are Childfree Adults Happier Than Parents? 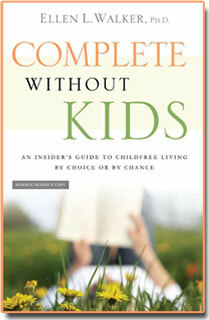 January 13, 2011 | Press: Before It’s News | by Wendy P. Chef | Reflection on Childfree Living.